Tamuz is the fourth of the twelve months of the Jewish calendar. Tamuz begins the summer season. The three months of this season, Tamuz, Av and Elul, correspond to the three tribes Reuben, Simeon and Gad who were situated on the south side of the Ohel Mo’ed (the Tent of Sacred Meeting). According to tradition, Tamuz is the month of the misstep of the golden calf, which resulted in Moshe breaking the Tablets that some call the ‘10 commandments’. The 17th of Tamuz, which is given as the date of that infidelity, marks the beginning of the three week period of mourning (ending on the 9th of Av) destruction of the Holy Temple in Jerusalem. 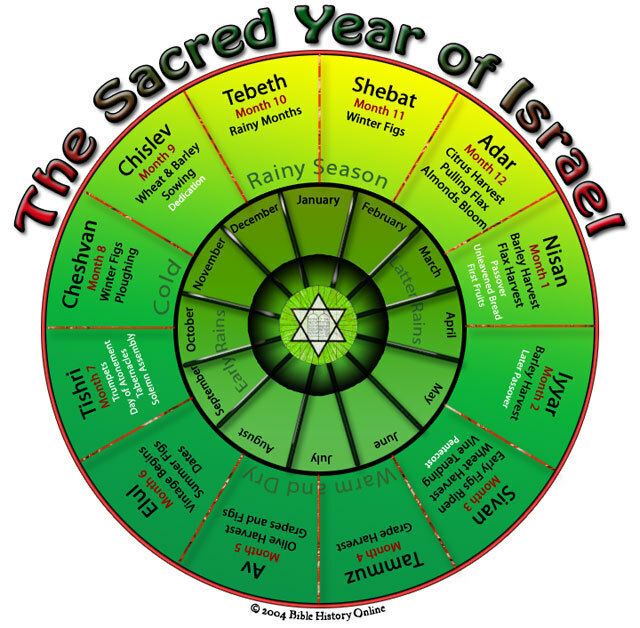 This is also the month in which the spies sent by Moses traveled through the land of Israel to see it and report to the people. They returned, we are taught, on the eve of the 9th of Av. The form of the letter Het in Torah script is made up of the two previous letters of the Alef Bet, the Vahv and the Zayin connected from above by a thin angled line (^) a bridge joining the two letters into one. The sense associated with Tammuz is sight. In relationship to this, the form of the Het represents the dynamic of incoming light to the eye, which is how we see and the emanation of spiritual light from the eye. We have all observed people who have ‘an intense gaze’. We have met people with some ineffable quality that we see in their eyes. This is the Vahv the spirit light emanating. And our eyes, in the process of observing is represented by the Zayin. The word Tamuz can be separated into the first two letters which spell “tam” meaning ‘completed (or connected)’ and the last two letters, vahv and zayin which together form the letter Het. Tamuz then is the joining of incoming light and outgoing light. The seeing which is a physical function and the spreading of light, whose source is the spirit. Het is also the first letter of Haet which means sin, or more accurately, missing the mark. Tammuz marks the beginning of a time of many mistakes, missteps, missed marks and missed opportunities, including the Golden Calf and the fearful, faithless report of the spies. Indeed, the Rabbis of old have taught that the destruction of the Temple was due to another Haet, the unjust way that Jews treated Jews. And tradition has dumped all of these moments into the month of Tamuz. Mazal: Sartan (Cancer, the crab). One of the meanings of the root of Sartan is seret; a ribbon or “strip,” and in Modern Hebrew, a movie or film strip. One spiritual understanding of the sense of sight which Tamuz represents is the ability to “see through” the mundane everyday aspects of reality and to behold a deeper spiritual reality. In accordance with this thought, the word sartan can be seen as being composed of two words; ‘sar’ and ‘tan’ which can be read as: “remove the mud”. We clean away the mud, clear the surface and discover a deeper reality, a divine reality. Hidden in our deepest sadness, our worst failures are the seeds of our spiritual growth, if only we can see through the tears and behold and grab hold of the spiritual opportunity within. The name Reuben can be separated into Reu and ben or “see what is worthy,” and that is the deeper meaning of the month of Tamuz. This month of tragedy, of tragic mistakes of judgment, jars our reality and challenges us to see what is truly worthy. Moshe points to that deeper seeing that is available to us. When he quotes G as saying: (Deuteronomy 11:26): “See, I give before you today blessing and curse; and again (Deuteronomy 30:15-19): “See, I have put before you today life and good, and death and evil… chose life.” Moshe is offering us a discerning vision of our own seeing. In order to see truly, we have to look deeper than the surface dimension of reality and focus upon reality’s profound essence. As written above Tamuz offers a deeper vision, a more meaningful sight than that which lies upon the surface. The right hand, in general, and the index finger, in particular, serves as a pointer, a director of one’s eyesight. When reading the Torah scroll, it is a custom to point at every word with a pointer, called a yad (literally ‘hand’). In traditional Jewish weddings the ring is on the index finger of the bride’s right hand. This is an act of focus, a pointer for truly seeing, for seeing truly. It elevates the moment and the couple to the level of looking deeply within. It is the intense expression of love shared by the deep seeing, the never ceasing gaze of the eyes from one to the other; “your eyes are as doves,” (Song of Songs 5:12). But lest we forget, the hand pointing should not be the focus of our attention. The pointer points. The pointer points to the deeper realities of life and the heights of existence. But if we focus on the pointer we will miss all of that heavenly glory.